Three dimensional animation has the ability to leverage the quality of your business. It helps to demonstrate different products with elegance and depth. It benefits the entire organization, besides promoting a particular product for your company. Showcases enhanced visual effects – Manages your time more efficiently. 3D animation is considered to be one of the best forms of visual representation of information. A lot of information in limited time. – Enhances your company’s brand image and growth. It is effective for different promotional purposes like presenting your product and services, marketing or advertising. – 3D animation is more effective than any 2D animation services as the former can better clarify your message – Boosts your online presence – Lowers your costs – Engages your customers – Uses the best technology – Adds glamour and style – Has the ability to grab attention. This reel was created to provide clients with a window into what can be done with 3D animation on a typical web site. The core of the programming was done using Flash because of its interactive applications, but the animated non-inercative 3D models can be created without using any Flash programming. The interactive Mohawk College 3D model was created to provide investors the opportunity to visit the sports complex before it was built. 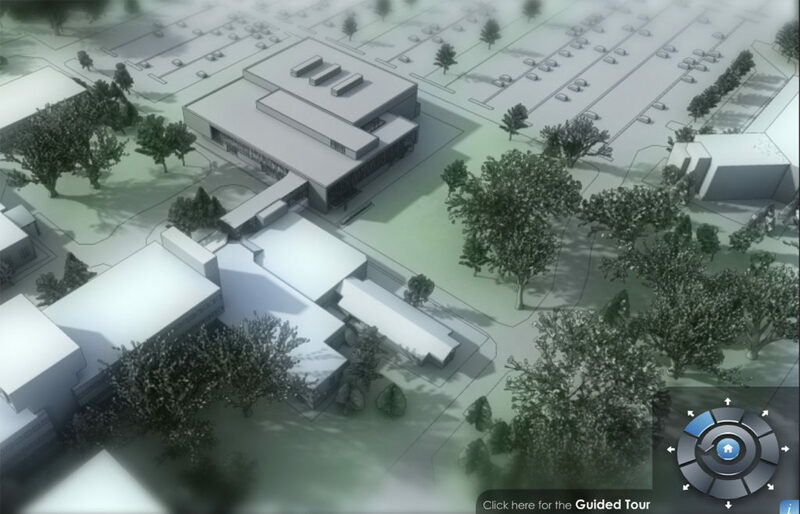 Besides the walk-through, a 360 degree animation of the outside of the building was developed to provide a birds-eye view of the upcoming construction.